As the author of DiS’ regular (though admittedly lacking in recent update) Drowned In Bristol column and a rabid enthusiast of our city’s thriving underground music scene, the Subliminal Transmissions week seemed an ideal opportunity to put together a spin-off edition. Rather than doing the usual exploration of gigs and listings then, Drowned In Bristol Bass aims to take a whistlestop tour around the city’s key artists and labels, bringing everything together into a concise whole. Even before dubstep reached Bristol and thoroughly took over the clubbing scene, the city’s dance music credentials barely needed repeating. The Bristol music continuum - leading all the way from the dub inflections in The Pop Group’s wiry post-punk, through Smith & Mighty, The Wild Bunch, Massive Attack and early drum ‘n’ bass - had already been hugely influential on the musics that would later split to form dubstep. The city’s borderline pathological obsession with bassweight, dub and soundsystem culture spread outward across the country during the eighties and nineties, so it was probably inevitable that it would find its way back again in some modified form. 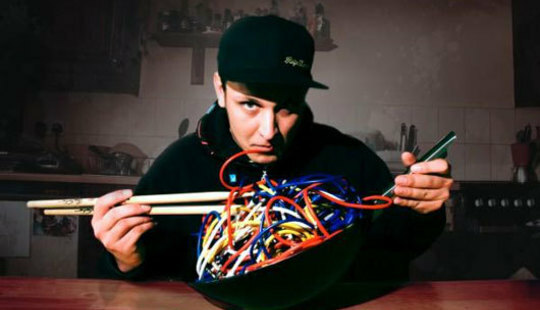 When Pinch began to bring dubstep to Bristol, through his Context nights, and later Subloaded and Dubloaded, it immediately began to attract a following. A couple of years ago there was mooted talk of a ‘Bristol-Berlin axis’: an exchange of mutual ideas between the two cities which would see techno’s forward momentum and the static-ridden ambience of Basic Channel begin to manifest itself in the city’s bass music. In reality it was a little more complex than that, but the assimilation of techno’s influences into dubstep’s spacious framework has thrown out some of the genre’s best music – much of which was gathered on Appleblim’s essential Dubstep Allstars Volume 6 mix from 2008. The same time period saw the emergence of a kind of futureshocked R’n’B hybrid, dragging in the remembered sounds of early grime and nights spent playing Sonic The Hedgehog. The fact that Joker, Gemmy and Guido’s hypercoloured synth music developed at almost exactly the same time as their London and Glasgow contemporaries – Ikonika, Darkstar, Zomby, Rustie, Hudson Mohawke – has been the subject of a fair amount of discussion. There are certainly parallels to be drawn with the uber lo-fi synth ‘n’ sample music currently finding its way out of the US underground; the likes of Oneohtrix Point Never and James Ferraro offer similar de/reconstructions of the pop cultural detritus that litters childhood memory. 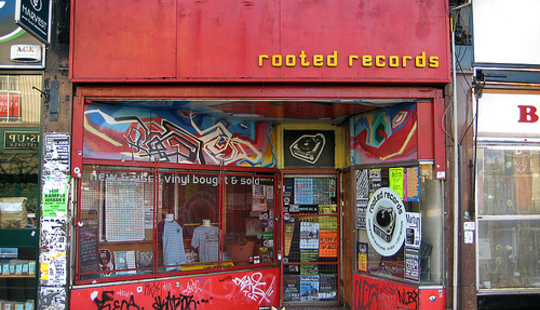 Over the last few years, as the sound has become so entrenched in Bristol that it’s hard to imagine it anywhere else, the scene has tightly centred around Rooted Records on Gloucester Road. Managed by Peverelist – and home to his Punch Drunk label, as well as the Idle Hands label – it’s one of the only bona fide independent record shops left in the city. Operating as a kind of hub, the shop, and by association Punch Drunk, has been responsible for exposing a raft of music by talented local producers, all the way from legend RSD to Guido’s excellent recent Anidea album. Even a couple of years ago it would have been far easier to isolate a dozen or so key producers developing bass sounds within Bristol. In fact, that’s exactly what Mary Anne Hobbs did at the end of 2008 for her Bristol: Rise Up special, which is well worth tracking down via the medium of Google and illicit filesharing. The last couple of years though, following dubstep’s seemingly unstoppable rise worldwide, have seen a veritable explosion in the number of local musicians, which makes it difficult to assemble anything approaching a complete list. Still, although this is only the briefest rundown, there are key players it’s worth drawing attention to. Pinch’s music remains close to the Mystikz spirit, cavernous and meditative, though not without the occasional foray into lighter territories – his vocal anthem with Yolanda, ‘Get Up’, is still on heavy rotation three years after its release. Of the much vaunted techno-hybrid producers, the latent influence of Berlin and Detroit is most audible in the music of former Skull Disco man Appleblim (who now runs the Apple Pips label), Headhunter (who also records 808 workouts as Addison Groove) and Peverelist, whose music draws heavily on the rolling beats of early d’n’b and jungle – his Jarvik Mindstate album is among the genre’s finest full-lengths. Rob Smith, now recording as RSD, also carries junglist weight; unsurprising, given his involvement in that scene from the very beginning. Joker, Gemmy, Guido and Hyetal all work an uber-melodic, synth driven sound, though all from different angles. The first two share a grimey, West Coast hip-hop feel, while Guido’s shimmering epics betray a composer’s ear. Hyetal’s music is different again, entirely intangible and possessing an ethereal sense of melancholy that occasionally tips over into muted euphoria. Forsaken, who co-runs the Soul Motive label, is something of a shapeshifter – his music tends to explore the possibilities of live instrumentation, but occasionally moves towards ravier territory. Kidkut, head of the excellent Immerse label, has just released his first 12” of humid house on Apple Pips. The HENCH crew, roughly centred around Jakes, Komonazmuk, Wedge and Gatekeeper, typically make huge-sounding, edgy dancefloor music, though the occasional diversion sees something entirely separate emerge – Mensah’s recent EP for the label drags in technicolour blasts of synth to dizzying effect. The Monkey Steak duo of Hanuman and Atki2 tend towards the general ‘bass music’ tag, as opposed to dubstep in particular; their Steak House label throws out all manner of global gutter house variants, including tracks from local blogger/producer Baobinga. 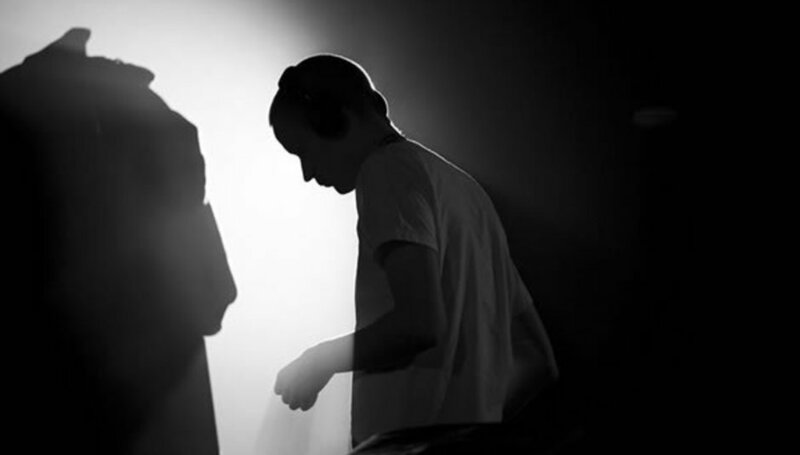 And further blurring the lines between genres are the likes of Al Tourettes, whose razor-sharp sound has a heavy debt to classic electro, Kowton and October. 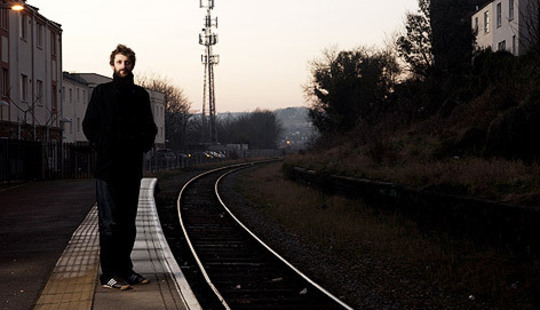 The latter two both write techno and house, but refracted through a distinctly Bristolian dubwise lens. Kowton’s recent slo-mo 12” for Idle Hands is excellent, as is October’s Muscle Memory EP for his Caravan label. For a decent single introduction to Bristol’s bass music, you’d be hard pressed to find anything better than the recent Multiverse: Dark Matter compilation, which gathers together a real range of material recorded at Multiverse Studios. It ranges all the way from the day-glo explosions of Joker & Ginz to Emptyset’s wispy minimalist techno, via the likes of Pinch, Vex’d, October and Moving Ninja. That said, it’s missing a fair amount of music from the likes of Punch Drunk and Apple Pips, so these few records are also entirely recommended. Underwater Dancehall is widely accepted to be one of the classic albums the genre's yet produced. Split into two discs, vocal and dub, the paired tracks draw attention to details within one another that might not have immediately been apparent had only a single version been available. A case in point is Rudy Lee's bewitching turn on 'One Blood, One Source', immediately placing Pinch's music into a dub lineage stretching back far beyond dubstep's current blossoming status. Tom Ford's debut album for his Punch Drunk label takes the best bits from the genres that feed into it - jungle, techno, dub - and weaves them into a labyrinthine trip through modern soundsystem culture. His constantly shifting percussive patterns are gleaned from jungle, but the shimmering repetitive melodies on a track like 'Not Yet Further Than' are entirely Peverelist's own. There's not a lot to say that's not already been said about Anidea, but the DiS review is here, it's brilliant and should have hit the top of the charts when it was released in May. Rob Smith's been a force to reckon with since his days in Smith & Mighty, but his RSD alias has seen him align with the best of dubstep's current practitioners - check out 'Pretty Bright Light' or his recent Dubkasm remix for pretty incontrovertible evidence. Along with Kode9 & The Spaceape's a couple of years before, Appleblim's Dubstep Allstars mix marks the series' high water mark, shifting from Peverelist's reggae-tinged 'Gather', through sinewy techno-driven material from the likes of Martyn, Ramadanman and Komonazmuk, and ending on Geiom's immortal 'Reminissin'. Drowned In Bristol returns to its usual self in a couple of weeks.